Inhibitors of Bruton’s tyrosine kinase (BTK), a major kinase in the B-cell receptor (BCR) signaling pathway, mediating B-cell proliferation and apoptosis, have substantially altered the management, clinical course, and outcome of patients with B-cell malignancies. This is especially true for patients with previously limited treatment options due to disease characteristics or coexisting diseases. Ibrutinib was the first orally available, nonselective and irreversible inhibitor of BTK approved for the treatment of patients with various B-cell malignancies. Newer and more selective BTK inhibitors are currently in clinical development, including acalabrutinib, which is currently US FDA approved for previously treated mantle cell lymphoma. Significant efforts are underway to investigate the optimal combinations, timing, and sequencing of BTK inhibitors with other regimens and targeted agents, and to capitalize on the immunomodulatory modes of action of BTK inhibitors to correct tumor-induced immune defects and to achieve long-lasting tumor control. 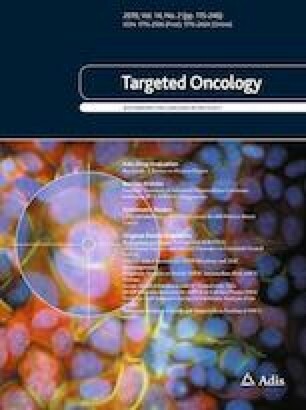 This review describes the major milestones in the clinical development of BTK inhibitors in chronic lymphocytic leukemia and other B-cell malignancies, highlights the most recent long-term follow-up results, and evaluates the role of BTK inhibitors and their combination with other agents in B-cell malignancies and other indications. No sources of funding were used to prepare this manuscript. Fabienne Lucas has no conflicts of interest that might be relevant to the contents of this manuscript. Jennifer A. Woyach receives research funding from Abbvie, Janssen, Acerta, Pharmacyclics, Loxo, Karyopharm, Morphosys and has consulted for Janssen and Pharmacyclics. U.S. Food and Drug Administration, C.f.D.E.a.R. Imbruvica® (ibrutinib), for oral use: highlights of prescribing information (2018). https://www.imbruvica.com/docs/librariesprovider7/default-document-library/prescribing-information.pdf. Accessed 30 Oct 2018. U.S. Food and Drug Administration, C.f.D.E.a.R. CALQUENCE® (alabrutinib) capsules, for oral use: highlights of prescribing information. https://www.accessdata.fda.gov/drugsatfda_docs/label/2017/210259s000lbl.pdf. Accessed 30 Oct 2018.